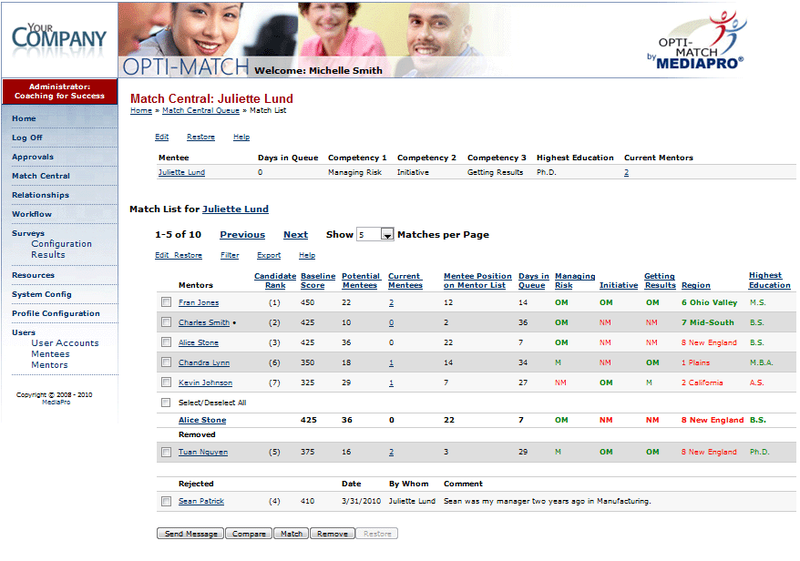 Opti-Match is a web-based portal application designed to help you optimise, manage and measure (evaluate) your coaching and mentoring initiatives. Improved participant matching to optimise your coaching and mentoring resources. Enhanced relationship management for both informal and formal programs. “Best Practice” tools and resources to help your initiatives succeed. Improved participant communication with both automatic and manual notifications.